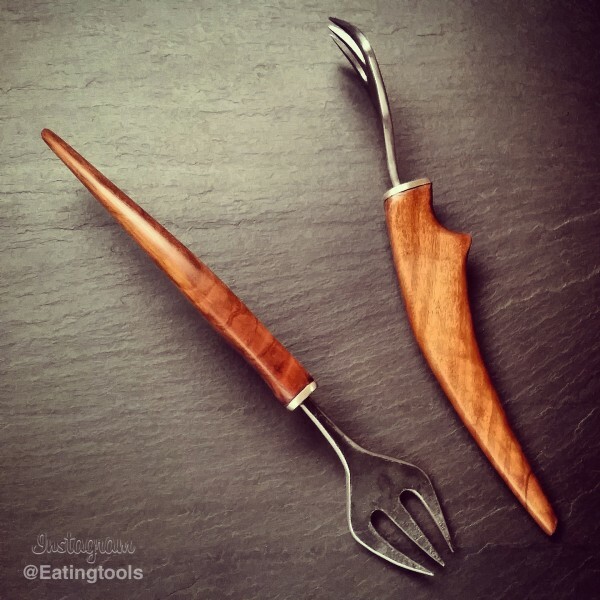 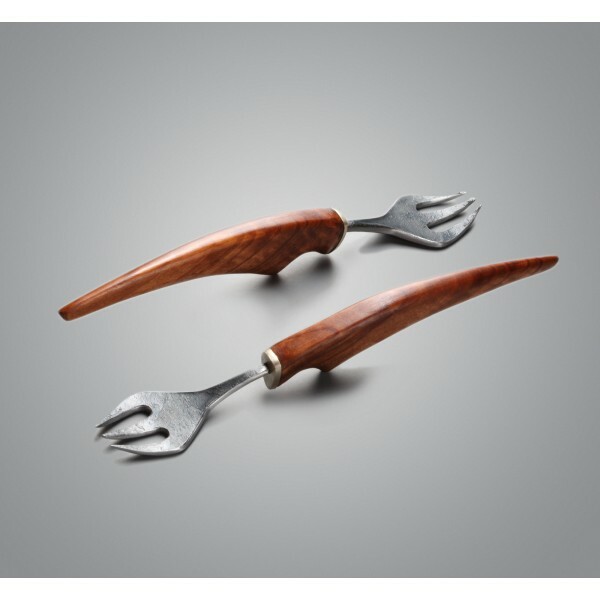 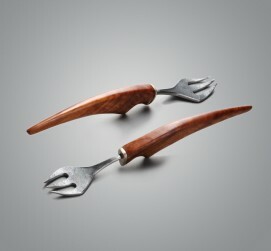 Hand-carved handles of spalted maple wood are faced with a piece of 1/8" sterling silver from which the fork, hand forged from mild steel, appears with flowing lines and an invitation to dive into dinner. 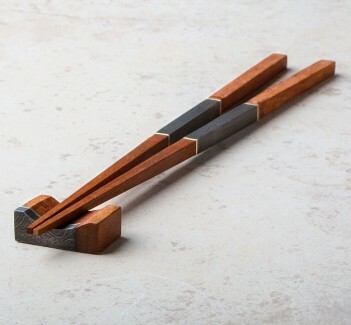 The steel section including the tines are left with a firescale finish, a layer of oxidation formed during periods of high heat, while the edges are polished. 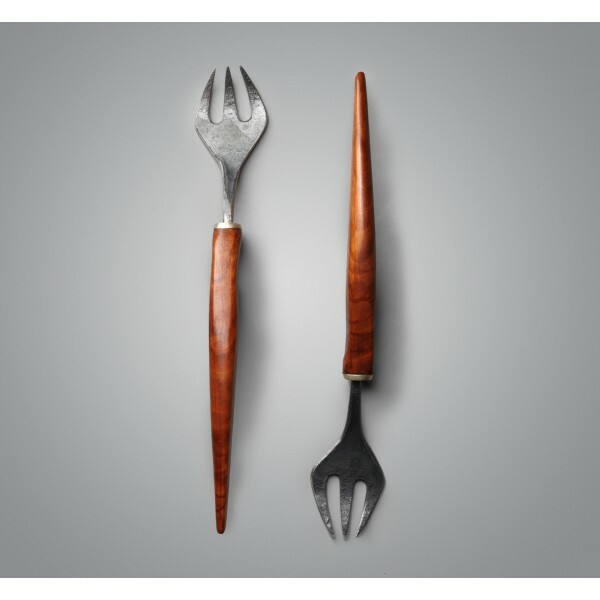 An alum of the College for Creative Studies in Detroit, Michigan, the artist behind the Rust Shack produces an eclectic mix of art that includes metal smithing, woodworking, bookmaking, sewing, illustrating, and found object-based pieces. These forks are a stellar example of what can be accomplished for the love of food and art. 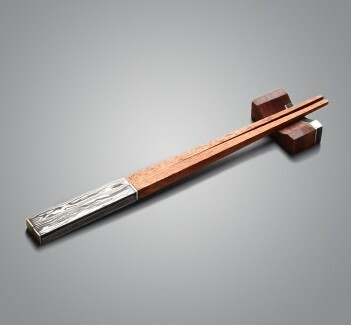 7" long Rest is 1.25" by .375" by .75"
African Mahogany, 196 layer hand forged damascus and sterling silver.